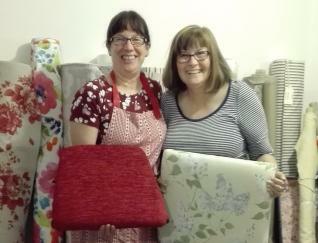 This one day workshop is perfect if you’d like to learn the basic principles of simple upholstery to enable you to tackle similar projects in your own home. 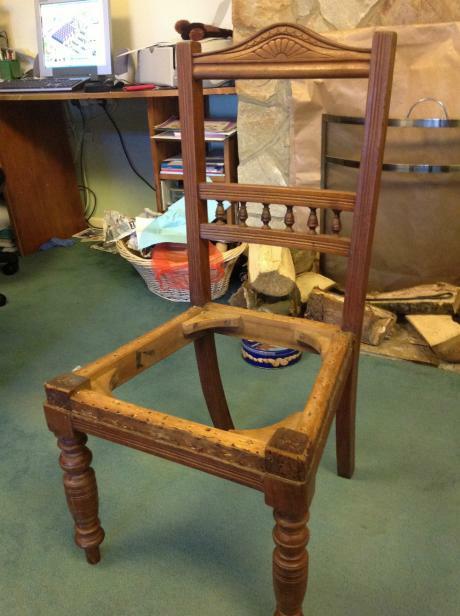 Our workshops are a fun and inspiring way to learn and we ask that each student brings their own drop in seat, or dining chair, to transform during the workshop. 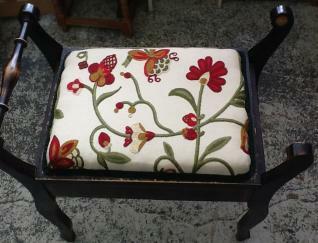 We teach modern upholstery techniques which are quick to learn and easy to apply in the home environment. Through the day you will make your own notes and we will give you hand outs which you take home at the end of the day. 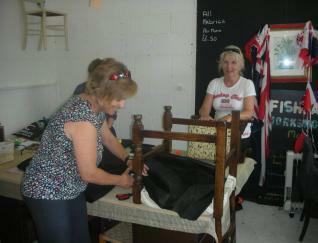 Please bring along a 'drop in seat' dining chair or footstool that can be re-upholstered during the workshop. If you would like to attend the workshop, but don’t have a suitable project, please let us know and we can source one for you at cost price. Please bring a notepad and pen, camera and apron or wear old clothes as it can get a little dusty! Please contact the shop on 01473289272 to confirm spaces and book a place. Alternatively you can fill in the short form below to register your interest. Please note this does not guarentee you a place on the next course.